This series contains alien enemy registration forms assembled by the Davis County Sheriff during World War II. 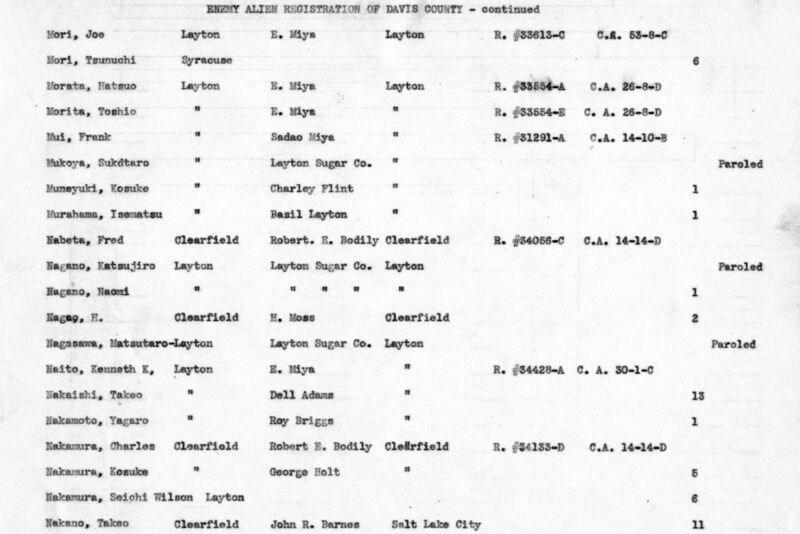 The forms document individuals and families of Japanese descent living in Davis County from 1940-1945. The forms include the following types of information: household head's name and address, landlord or employer's name and address, family members' names, birth dates, birth places and registration numbers, as well as the number and types of firearms and ammunition belonging to each individual or family. A number of composite listings are also included in the series, detailing many of the same individuals and types of information as the registration forms. Page Last Updated April 20, 2018.